"So were back in our world are you sure?" asks. Luffy:"HAHA YES!!!!!" he yells excitably. I sit down and whine. I pull on my chain holding me and continue to bark. Looks over at Jerica."What? Your want your chain off?" Luffy:Sits in his usual spot. "OI I SEE A ISLAND AHEAD!!!" I wag my tail to show I did. I take out my sword and gets as close to her neck as I could. I then cut it with ease. I run and jump on Luffy. I go over at pulls the anchor up as we seize sails. Luffy:Gets up and jumps off the ship."Alright! It feels great to be back!" I walk by Zoro licking his hand. Luffy:"I wonder if there's any food here?" I bark holding whats left of my chain to him. Franky:"Now I can make some repairs on the ship!" Brook:"Yo-hohoho and I can practice my music!" Luffy:"Alright we're counting on you guys!" I wait for Zoro to lead me. Starts heading into the forest. 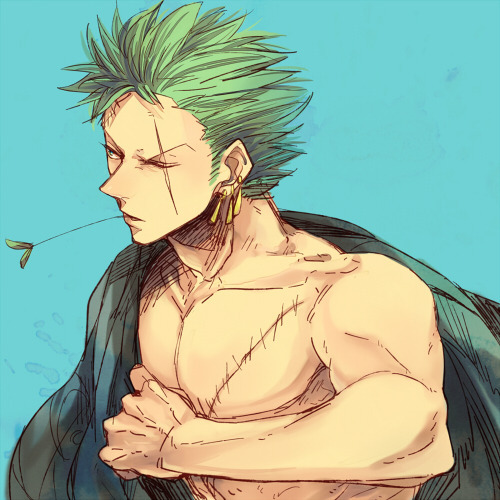 I follow Zoro walking next to him. I howl the song. I continue to howl with Luppy's song. I follow cause he had the chain that held me. Luffy:Stops singing."Hm?" he mumbles and runs over to where I was along with Nami,Chopper,Usopp,and Sanji. I growl lowly and my tail was up.